When I laid eyes on this floor length princess ballgown wedding dress, I instantly knew I had to try it on. It stood out amongst the rest of the dresses, because of it’s beautiful bodice embellishments and elegant bow. This wedding dress has never been worn and is in excellent condition. 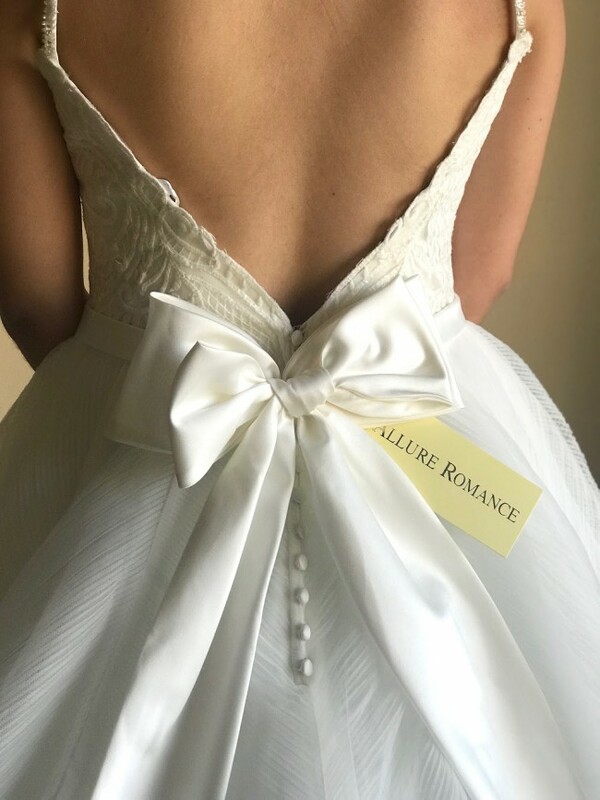 This ballgown features a sweet, chic bow at the waist, while a subtle herringbone pattern texturizes the skirt.